In cartomancy, the ace of spades is quite a bad omen. Feared by the consultant, it is probably the most negative card of the game as it announces a great sorrow and sometimes a depression phase. 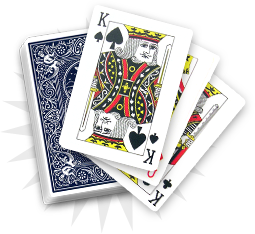 On the romantic level, the Ace of spades evokes a break-up through the end of a love story. 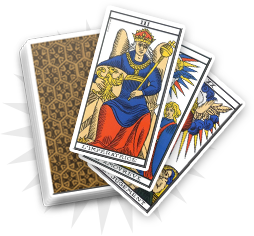 In its most negative dimension, the card can also refer to death, if another spade card follows in the reading. On the material level, the Ace of spades evokes losing money and poverty. The card is a reference to lay-off or to game loss. 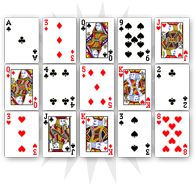 It seems important to say that the Ace of spades should not be interpreted on its own and should be integrated with the other cards of the reading. Combined with certain heart cards, it represents success when facing an obstacle. The negative dimension of the Ace of spades can thus be avoided thanks to some specific cards, and can even bring a message of hope to the consultant. Be careful as the Ace of spades indicates a period of great despair. On the romantic level, you could soon have to face a break-up. On the material level, you could get poorer because of different raisons, such as being laid-off, losing money in a game or having to endure health problems. The Ace of spades evokes the most negative things in your life. Nevertheless, you have to see the bright side and observe the other cards from the picking/reading. Do not forget that in every situation, you will be able to choose your destiny. The Ace of spades is a warning. One of your relatives is about to experience a difficult situation or to encounter danger. You have to be particularly present for your friends and family, in order to diminish the risks pending on them. 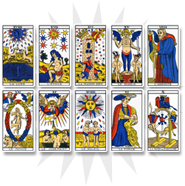 Observe the other cards of the reading to understand the complexity of the situation. If heart cards are there, your relative will be able face the danger.